Sometimes it takes one random song in my iPod to take me down memory lane and today, it was La Familia, a song Matsujun composed for their Iza Now Tour in 2004, when Arashi was five years old. Arashi is a typical “boy group” (I’d prefer male group since they’re not exactly boys anymore but let’s go with the convention because, hey, even Backstreet Boys still gets referred to as a boy band), which means they don’t exactly compose the songs for their albums. That’s why, whenever they do, it becomes very special, like in the case of Sketch (composed by Sho and Nino for their fifth anniversary) and 5×10 (composed by all five for their 10th anniversary). They have also tried their hand composing their solos, specifically Nino and Sho, and, but very rarely, Jun. La Familia is one of those “rare” moments for composer Jun (I guess he already has his hands full producing their concerts). The lyrics are typical Arashi when they write, so down-to-earth and relatable and you can actually put the words into a specific period. In short, it’s very narrative, like you’re reading about a part of their lives in a song. Arashi fans would know that while they don’t deny their bond (a magazine once featured them in a red string photoshoot), they don’t parade it around as “friendship” or “brotherhood”. They don’t even know how to describe it except that it’s a “separate genre called Arashi”. That’s why La Familia’s lyrics is a rare treat because Jun, in this case, becomes expressive. The rest of lyrics and translation by Taiji Project here. Video here. I love that moment when the four appeared onstage. Nino’s smile was precious, and so was Jun’s (yes, my Matsumiya kokoro is showing) as he pointed at them singing “my friend”. It is very seldom you’d see Arashi being this demonstrative. Sure, they show skinship in the name of fan service and fun, but they are seldom showy with words. I guess they believe more in action. I wish Jun will perform this in a future concert. If they have Arafes this year, I’d surely vote for it. Of course he needs to tweak the lyrics now since the group is sweet 16 this year. Imagine that. I bet Jun didn’t when he wrote the song. This song is very special to me. It’s video was also the 3rd video of Arashi that I watched (first was a very grainy PV of Wish and the 2nd was A.RA.SHI PV). I was not yet a fan of the group then -only Matsujun coz I got baited through Gokusen- and I fell in love with this song. I love the melody. I love how the whole song sounded. It’s very simple yet it’s very beautiful. I became a fan of Arashi in that very moment you mentioned above. When the 4 appeared and Jun pointed at them while singing “my friends”, that did it for me. I don’t know what was it in that moment. 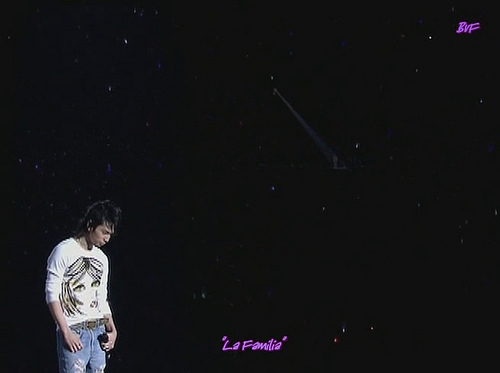 I found it really sweet and when Jun turned around and saw the 4 up there, the look on his face, I can never forget that. It’s weird but my thoughts back then were “wow, these people look like they’re really good friends.” Is it even possible to feel the “Arashi bond” in just a single moment? I don’t know but that made me curious, I ended up downloading the Time album and went deeper down the rabbit hole. I’m still there for almost 9 years now. This song and video will remain to be one of my favorites and I will forever be grateful for it because it turned me into an Arashian. awww your comment gave me the kimochiis that I’ve been having since earlier today when I rewatched their old videos. I’m trying to remember what was my defining moment that got me into Arashi hook, line and sinker. I think it was their Iza Now clips? They were just so fun to watch and to this day, they still are. But I guess I got even more drawn gradually by watching CxDxG no Arashi and Mago Mago. this song is up there with Matsumoto-kun no Uta and the Aiba letter in 24 Hours TV too as among those early moments that showed the Arashi bond. Arashians are blessed. My first foray to Arashi variety was DnA. That show was pure gold. I love watching them interact with normal people and the stories they feature in that show were interesting albeit at times really weird. Next was CnA and man, that was difficult to watch at first. Watching them get scolded/yelled at by people and them just humbly standing there, my respect for them skyrocketed. They went through so much during those years, working hard and giving their best on those midnight shows. Re: Aiba’s letter, I don’t recall a single time that I watched that video without crying. Damn, talking about all these is giving me Arashi feels. Makes me want to rewatch their old videos. everytime i watch the video from Aiba’s letter, it always gave me a goosebumps. Now they are success to achieve that dream. Only four years since Aiba read that letter, they held a concert in Kokuritsu (and for another five years). you know what struck me even more, when it was Nino’s turn to write a letter four years later on 24 HRTV and he said they have been running like crazy the past four years so that the words Aiba said (of making a storm across the world) won’t be a lie. it always brings tears to my eyes thinking about the things they had to go through just to achieve their dream, a dream that they didn’t even think would come true one day. I’m glad they went through those midnight shows “that nobody watched” because it trained them with improvisation, shattered their prides and thickened their skins lol and most of all, it gave them work ethics and the humility that they have until now, and which I respect them most for. ahhh old Arashi videos are gold. not to say that their current shows aren’t. but it’s always nice to look back to those days to appreciate the Arashi that we have now. i love this song too. How jun telling a story about their journey and how strong he is when he is with other four, his friends. It is true they are rare calling each other as friend so this lyrics made by Jun really precious. The Matsumiya moment when other four show up on stage. Jun smile and pointing at them, calling them “my friends” also one of the best moment in their concert. I really want to meet them and talking about how they feel now, in their 16th anniv this years, looking back at this lyric and aiba’s letter. The moment they tried to be success. The moment they hope they can be success. I did watch the NHK, so far that interview and the one in Shounen Club Premium (2009) is the most revealing group interview. great post, really takes me back to my earlier fan days 🙂 arashi concerts always seem to get better with each year but iza now can never be replaced. its the concert that hooked me to arashi after all. nino’s konseki perf? damn he put so many feels into his song. and then seeing jun perform la familia right after with all of arashi coming together. there’s no going back after seeing that. I had to watch the clip again since you mentioned it. oh my kokoro. you’re right, Iza Now is really special. they were rough like diamonds then, awkward but so earnest. and that hasn’t really changed now after years of being onstage.